Does your blog have a pulse? Most of you know that a low bounce rate is a vital sign of a healthy blog. The confusion starts when we try to figure out how exactly it affects our blogs, why we should care, and what we can do about it. Bounce rate is a way to measure the quality of your web traffic. It represents the percentage of visitors who enter your site and then leave (“bounce”) rather than continuing on to view other pages. Essentially, your bounce rate tracks the number of visitors who come to your site and then leave in a hurry. As I mentioned before, your bounce rate is a good indicator of the quality of traffic coming to your site. It shows how ENGAGED your visitors are with your site and how much STICKY POWER your site has. Lower bounce rate (i.e. fewer people leaving your blog without sticking around) is usually great – you are doing a lot of things right. Higher bounce rate means you need to start thinking about increasing the “Sticky Power” of your site. The more you can lower your bounce rate, the more opportunity you have to convert visitors. Your Google Analytics will tell you all you need to know about your bounce rate. The best bird’s eye view of your bounce rate is under Acquisition => Overview.  Let me tell you a bit about the bounce rate at Traffic Generation Café to benchmark against. My blog bounce rate is at about 80% right now. It used to be at 40-50% when I first started. Why did it go up? I believe that the more popular the blog gets, the more diverse its traffic sources become, the more likely some of that traffic to bounce. For instance: my direct traffic (people who come to Traffic Generation Café by typing its URL in the address box – just one example of what direct traffic is) is more likely to be qualified as bouncers. Because these are, most likely, my regular readers who come to check out my latest blog post and leave after reading it. Your direct traffic usually grows hand-in-hand with your blog. Search engine traffic is more likely to bounce as well. As your blog grows, it might be ranked for more and more keywords, some of which will inevitably be completely accidental. Those keywords might bring you traffic, but it won’t be targeted. Example: once I happened to mention a song in a blog post and, all of a sudden, that post started ranking for the song lyrics. The resulted search engine traffic had no interest in traffic generation. They left Traffic Generation Café as soon as they realized it wasn’t what they had searched for, thus increasing my bounce rate. Just in case you want to know what happened, I ended up deleted the lyrics from my post, which eventually caused Google to de-rank the post for that specific keyword phrase. So you see there are some very legitimate factors that affect your bounce rate that you can’t really do anything about. Can Bounce Rate Be Too Low? A blogger friend of mine was boasting about his 1.5% bounce rate. If your bounce rate is anything close to that, I hate to tell you it’s not because of your brilliant traffic conversion strategies. You most likely have Google Analytics code pasted twice on your page and all your stats are wrong because of it. That’s exactly what my friend’s problem was as well, to his bummer. 1. Check your home page source. Each browser has a different way to doing it, so let me show you where to find your page source in Firefox and Chrome for Mac. If you are using a different browser, just figure out where they hide your “Page source” tab. Once you’ve got your home page source up (it will look like a bunch of jibberish if you are not familiar with HTML), you need to do a quick search for keyword “google-analytics.com“. On my Mac, I’d press “command F” to get the search tab show up (at the bottom of the screenshot), then add my keyword, and press “Highlight All“. Now you’ll see all the instances of your Google Analytics code installed. you embedded it into your theme manually, then installed Google Analytics plugin. Or you have Google Analytics plugin running, plus an SEO plugin of sorts – and added your tracking code to both. In my friend’s case, he was using two SEO plugins (WordPress SEO by Yoast and All-in-One SEO pack) and both of them contained his GA tracking code. There’s really no reason to have two SEO plugins – it’s redundant and slows down your blog. Either way, delete one of the codes and your bounce rate will sky-rocket; welcome to the club. What Does Bounce Rate Have to Do with SEO? The official word from Google is that analytics bounce rate data is NOT used for search engine rankings. In case Matt Cutts wasn’t clear enough on the issue of bounce rate and search engine rankings back then, Google’s Gary Illyes recently confirmed in a tweet that Google doesn’t use analytics/bounce rate in search rankings. Whether or not you believe that Google doesn’t use analytics bounce rate in search engine rankings is entirely up to you. Personally, I agree with Moz’ Dr. Pete Meyers that Google doesn’t need to tap into our analytics data: SERP CTR and Dwell time are all the metrics they need. Now that you know all the basics about what bounce rate is and how to track it on your blog, let’s get down to business: how do you decrease your blog bounce rate, convert more visitors into customers, and make more money? The following set of tips will help you decrease your bounce rate by making your readers click on more than one page on your blog. Yes, commenting decreases your bounce rate. When someone leaves a comment, they are either redirected to another page on your blog (depending on how you have your system set up) or the page simply refreshes. And that, my friend, means that your reader has just visited more than one page on your blog = decreased blog bounce rate. Ask for the comment at the end of the post. Create a commenting tribe to show social proof and encourage more comments. Kill two birds with one stone: build an email list and decrease your bounce rate in one shot. The idea is the same: when someone subscribes to your list, they are usually redirected to a thank you page or a “Please confirm your subscription” page, thus visiting more than one page on your blog. Make your optin forms available EVERYWHERE. Give away a great freebie. Use a plugin like WPSubscribers to auto-populate the name and address fields in your opt-in forms. This simple feature alone increases subscription rates. Use the same WPsubscribers plugin to add a check box to your comment section that allows your commentators to subscribe when commenting. If you don’t know where to start with building your list, start with a good autoresponder service (read my Aweber review) – it will allow you to design whatever optin forms you need and give you a simple string of code to add to your blog to activate them. Piece of cake. No post is an island. You should always link to other related posts within any post you are writing – very much like I’ve done in this one. Not only will it reduce your bounce rate, but it also might greatly help you to rank better for your chosen keywords. To learn more about this technique, take a look at my post on deep linking. This is a common mistake even among bloggers who should know better by now. If you have any links leading to external sites, whether in your sidebar or within posts, always make sure those links open in new windows. If it’s the sidebar links, like affiliate offers or social media icons, make sure you add the target=”_blank” attribute to those links. Opening all external links in new windows ensures that your readers don’t just wander off your site; the original page they clicked away from will remain open in their browser, and they will have to come back to it at some point. Sidebars are always a great place to add a few links to some of your best content to make sure your readers have something to click on when they are looking for ways to explore your blog. What I see many bloggers do here though is give their readers too many options, i.e. adding too many widgets to their sidebars. When it comes down to reducing your bounce rate, it’s best to stick with “Popular Posts” widget – everyone wants to see the best or at least most talked about content. Have you ever been on a blog where you are looking for specific information, but there’s no search box? Make sure you provide that option to your readers; your bounce rate will thank you for it. One way your readers will evaluate your site and decide if they want to stick around and read more is by scrolling down your home page to see what recent posts you’ve published. That’s why it’s a whole lot better for your bounce rate if you give them a variety of posts (up to 10, I’d say) to choose from as opposed to displaying 2-3 long posts. By an excerpt I mean 2-3 sentences, maybe 1-2 paragraphs, IF they are short, at most. If your posts on the home page are too long, your visitors might get tired of scrolling and simply leave. Pop-ups, external toolbars, like your Twitter stream, peel-off ads – they all create distractions that in the end will affect your traffic conversion and bounce rate. Text link ads fall in the same category, by the way – they decrease pageviews. Yes, mistakes happen – pages go missing. When that happens, it’s important to capture the visitors that encountered your 404 page and redirect them to where they can find the information they are looking for. Place a few links on your 404 not found page that they might find helpful. Add a search box to it so that they can look up the topic that brought them to your blog to begin with. Don’t let them just bounce off your blog and go look for the info elsewhere. This is another good way to increase your click-throughs and decrease your bounce rate. There are plenty of plugins that will do the job; I recommend to choose one that gives you an option to display posts by category. If you are wondering what I use on my blog for my cool-looking after-post box that includes my related posts, it’s custom designed for my blog. If you have to have it, I’ll put you in touch with the designer who did mine. Next to your home page, this is one of the most visited pages on any blog. It just might be what your visitors will want to click on next, thus decreasing your bounce rate; so make sure you display the link to your “about” page in the top navigation bar. The following tips focus more on keeping your visitors reading – anyone who stays on your blog for just a few seconds increases your bounce rate. Yet another big mistake many bloggers make is not having a tagline right next to their blog title or in the header itself, explaining in a few short words what the blog is about and how it would benefit the visitors. Any new visitor will immediately know what the blog is about. If your tagline says “Welcome to John Smith’s blog!”, don’t expect too many visitors to actually scroll down. Remember: a good tagline is all about the BENEFIT TO YOUR VISITORS, not you. The look of your blog alone can make your visitors stay or leave. Busy header, sidebars, tons of ads, social media widgets are out. Clean, uncluttered, professional design is in. Many blogger, including me, recommend Genesis theme for better bounce rate – for those exact reasons. Your site should be easy on the eye – literally. Choose an easy simple font. Go for dark font on light background (black on white is always the best way to go). White on black is one of the worst choices for conversion. Write as if your audience is a bunch of second-graders. Use short paragraphs – 2-3 sentences at most. Use numbers, bullets, headings to organize your content better. Use images to break up the text. All these things have a great effect on how long your visitor will stay. This one will hugely affect your bounce rate – no one likes to wait for a page to load. Update to the latest version of WP, as well as update all your plugins. Delete plugins without mercy. If you don’t have to have it, it has to go. Optimize all your images – use WP Smush.It plugin for that. Dump external ads – unless you are making decent money with them, dump them. Increase your load speed, avoid distractions, decrease your bounce rate. Install W3 Total Cache – it’ll cache all aspects of your site and speed up your overall performance. Always turn off the related videos feature when embedding the code. There’s also a way to make your video non-clickable and stop loosing your traffic to YouTube altogether. All you need to do is to use the old style embed code and change some things in the code string as explained in this post: YouTube embed code options. Bounce rate is bad for SEO, traffic conversion, and your bottom line. However the tips above will most definitely help you to keep your blog bounce rate as low as possible – just where we want to keep it. Just wondering where your “search” box is located? If you’ve decided to remove it, can you share the reason(s) why? It’s in the footer now, Carole. It’s not used enough for me to give it a prominent spot; however, those who are looking will still find it. I really like your tips but I think you’re missing one important tip here: Background images can help some websites decrease their bounce rate and can also go a long way to improving the perceived style of the site. A strong background image at the top and bottom of the website can reinforce the key message of the website and reassure readers they are at the right place. Also, I would suggest that people should add an ‘annotation’ to Google Analytics whenever they are making changes like this so they can see the resulting impact. I wasn’t sure what you meant by “background images” until I took a look at your post, David. Any reason you are not using any on your site? A Bounce-Rate of 35% would be a dream. I’m currently at about 55% so there’s still a lot of work to be done for me. Sight. 55 is not too shabby. Scary how that code snipet you gave us to add to Google Analytics works! I put it in my code, forcing an even at 15 seconds, and my bounce rate dropped to the 20’s (from about 75). I’ve re-set it to 30 seconds to get a more realistic bounce rate. We shall see what that does. Although we can sometimes over-analyze and lose sight of the prime objective which is to provide useful and pertinent content for our visitors, analysis can help us to shape that content. I can’t really remember what Google analytics was like, haven’t used it for years, but I guess there are similar functions. To be able to assess the bounce rate effectively, I use two additional tools on this page, the Open Transitions which shows what visitors did before and after visiting this page, and also Open Row Evolution. This shows how the metrics have changed over time. That is, you can view a time based graph of the bounce rate evolution, as well as other metrics for that page. It is possible to extrapolate a huge amount of useful information from just these few metrics. As well as the examples you, and other commenters here , have given to justify a high bounce rate, I have found it is also be caused by the organic evolution of keywords on the site over a longer period of time. This may eventually cause a searcher to hit your site looking for something completely different simply based on the frequency of a word that traverses categories, therefore bounce right out again. This is why we need to pay more attention to the language we use in out articles when shaping our content. Or, as you pointed out, at least be mindful that things aren’t always what they seem! Being able to see these metrics for visited pages in relation with other metrics, allows us to get more of a handle of how our content is being received and, in this instance, a more accurate representation of what bounce rate really means. Used properly, I believe bounce rate is one of the essential tools to not only measure what’s going on with our sites in finer granularity, but to also make key decisions in the continuous improvement process of giving our visitors the best that we can provide. Once again, thanks for this article, and the other great articles you write. I always find something useful! Now I’ve got my “learn something new each day” task taken care of for the next 2 weeks. Regarding the YouTube leak, another option is to upload your vids to Amazon S3 and run the videos from there. Of course, you still may want the exposure on Youtube, but just don’t use the Youtube video on your post. Use the AS3 stored version. Thanks for you awesome share. I think many people add YT embeds because they are more familiar with the format, as well as they are promoting their channel and videos, Kater. Thank you SO MUCH for the Youtube embed ideas. The rate of Adsense payout on hosted content (Youtube vs your own blog) is paltry. I didn’t know I could keep them on my site. Actually, according to your own blog, these embed tricks don’t work anymore. Ah, well. On to other tricks (you’ve got plenty more listed). Yes, Marta – I recently tested and tested and then tested some more trying to figure out a new way to implement the same strategy, but alas! YT got a lot smarter lately. There was a suggestion from one of the comments above to host videos with a self-hosted platform, like Amazon, but they I don’t know if you can add an AdSense code to those videos. Sorry your comment was stuck in spam, Haroun. After reading the string, I still don’t see a viable explanation as to why this is not a valid script to actually make the reporting more accurate vs just hack your stats. Either way, I’ve been watching my SE traffic (after all, the ultimate goal of it is to possibly bring your SE traffic up, right? ); no changes either way since I installed the script. It depends on who you ask, Haroun – some say it’s one of search engine ranking factors (even throw out a number of 55% or below, as I heard in a one high-end SEO course). Then again, some say it doesn’t matter. Speaking strictly technically, if it doesn’t harm a site, and I don’t see how it would after analyzing a script and having it on my site for a couple of months, then lower bounce rate either does nothing or it helps. In that case, why not, right? So I am keeping my script for now, until a brick with a “Take it down!” sign attached to it hits me on the head. Ana, you absolutely nailed this. What I really love is how you explain the foundations BEFORE your list/tips. Ana thank you for your great post. You mention that when the bounce rate is really low, the reason is that GA code is installed twice. I have a client (www.oikoperiigitis.gr) whose bounce rate is about 0.12% and I am sure that something isn’t working right !! I have already checked the source code of the home page and I didn’t find but one instance of GA code. So, what else could be wrong ? There isn’t something obvious indeed. But from your experience, could you suggest me something else to check ? The only thing that I could think of is possible error with the google analytics ID , but nothing is wrong there too. Move it into the head section and then check the results. I don’t think your comment posted correctly, Carole – missing some info, which I, for one, would love to know as well. Really amazing tips. Your very first point. I usually never request anyone to comment. If they wish they may. And just guess what. I just edited one of my most busy post and added the byline : ” If you think this post was helpful for you, then please suggestions in comment section. ” Within a day I got 11 plus new comments and some craps ( but that’s OK ). Encouraging interaction is crucial for blogs, especially in their developing stations, Vivek. Thank you for all of this great information. There is so much I still have to learn, but you have really packed a lot in here that I didn’t know! I am bookmarking this to come back and read again. Thank you. Good post Ana, good to see your blog bounce rate is dropping. And, you are right about the different variations of traffic that will determine your overall bounce rate. My bounce rate sticks to about 33% – 40% which is good, but that’s overall from email and regular traffic, as I don’t get much search traffic. Also, I wanted to say keep up the great work you’re doing here, and the new blog design and functionality looks nice. Here’s to more success. Hi Ana, I wanted to reiterate that I really like the new design of your blog. It looks great! Thanks for including the code to lower bounce rate in your email. That was very nice of you!! I do have one question for you. How quickly did you notice a drop in your bounce rate? Thank you! I saw the change within two days or so. Very quickly. Awesome content. You mentioned “Always turn off the related videos feature when embedding the code.” How do you do that? When you get your embed code from YouTube, it’ll be one of the check boxes just above the code, Mike. You can only do it when embedding the video, Mike. Ana, I just love your articles! Another one I simply had to print off and hang up next to my “vision board” – if I were a traffic god I would send my minions here to sip cups of great cafe knowledge! I found out that I sell same product on Amazon with 25% higher price and with 100 times better conversion rate. (less than 1 % compare to 55%)( Ok Amazon is a brand name with far better shopping cart). What can we learn , 1. perhaps add logo or a prof on the website that connect us with a brand name to get credibility ?? Good movies on the page and fairly long text do help to reduce bounce rate. Glad to hear it, Ofer; I can easily imagine how Amazon can help you sell quite a bit more. Thanks – made a bunch more index cards for later to-do’s. Good ideas for cleaning up the blog. My bounce rate it medium high. So I would like to clean up my side bar. I do already do some of the things that you describe, but want to add video, and clean up the sidebar. I have good traffic, but need to add monetizing links to each book review also. That would be just right. Internal linking to the bookstore is taking places as we speak. Thank you for the tips. They were perfect. I really appreciate them. Massive save of time that you do explain actually how to as well to what to do. I don’t know why I didn’t find this post earlier :-(. My favourite take away was the point about opening links in a new window. Thanks for the code Ana. I’m not a programmer but I try my best to tweak my blog to my taste. And yeah I’ll also get the W3 Total Cache plugin. Hi Ana, this was very helpful and very informative. I found one of my blogs which also had the analytics code in it 2 times, ouch. It’s always a pleasure to recieve an email from you. That is the first time I have ever said that about any emails business wise! I love your openness with your readers. Thanks for the thumbs up, Michael; means a lot. I am really glad that I subscribed to your blog posts by email and I got your email about Bounce Rate while I was going through my Analytics report! Bounce Rate is the one of the many parts in my site that I have to focus on improving. Although when I am going through my Analytics data overall bounce rate is 85% while the search traffic bounce rate is 60%. I assume that I am doing ok in that case. But when I check Alexa, they are giving a complete different information though. I know that the pop-ups in my site may be causing a lot of bounce for the direct traffic. But I can’t help it and most of my opt-ins comes from that pop up and I am still not convinced that I should take it down. I think improving bounce rate comes second to converting your traffic, Annetta. I wouldn’t touch those pop-ups if they are working for you. “You most likely have Google Analytics code pasted twice on your page and all your stats are wrong because of it.” – Something that has been with me since a long time and took me a lot of time to detect as two plugins were putting the same code in pages (I never knew All in one SEO puts analytics code in the pages too). Actually it doesn’t make stats wrong it simply reduces bounce rate below 5-15% and doubles your pageviews (the number gets exactly double). It doesn’t disturb visitor info (evident from my independent Statcounter stats). Glad you finally found the problem, Nadeem. Design matters the most for blogs related to some niche. If you are still experiencing a heavy bounce rate even after following these tips then immediately switch to a minimalistic and user friendly design. Going minimal is always a good idea – whatever the niche. It is very informative for me. I am a newbie in blogging so I think it’s going to very helpful for me. It’s very necessary to engage out visitors. It’s still nice to think ahead, Neil. Great post. My problem is that my bounce rate is TOO low (1.71% to be exact). And I thought I was doing well! How do I undo that second Google Analytics count? It depends on how technically inclined you are, Pam – is it easier for you to deactivate the plugin and leave the script (preferable; the fewer plugins, the better) or remove the script and keep the plugin? It doesn’t make a difference other than that; just make sure you leave only one. Great tips to reduce bounce, Ana. Better than a sports bra. My bounce is in the 60% to 80% range, with an increasing number of returning visitors (about 10%) who have roamed around already. When my bounce gets really bad, it’s almost always loading speed. Otherwise, I know that many readers are so satisfied with the article that they turn off their computers to contemplate the wisdom. I do love to see my returning visitor number high – just means I am doing a lot of things right, but not too high – need to leave room for the new visitors, i.e. growth. I don’t think that KeywordLuv is the cause, David; however, I do agree that we need to stop using it to link to the same keywords over and over again. THAT might be counted by Google as anchor text/link manipulation. Thank you so much, Ana! I discovered you while trying to learn more about bounce rates for my new(ish) blog. Paying attention to my own reactions to your layout, I found that everything you were saying was indeed correct, and ended up bookmarking this site. This definitely shows that application of your methods works! I have a lot to do, and you’ve given me quite a few ideas. I’m so glad I found you! Always great to hear that what I THINK is working actually does work, Rebecca. Thanks for coming by and I look forward to seeing you around. We are usually aiming for no more than 40% if it anything higher than that let’s say 50% then that would mean that half of my visitors leaving without even reading the content. It could also mean that the website or the page is not optimised for the right keywords and when the visitor arrives on the site he/she realises that it is not what they have been looking for. But it is still quite interesting to see that for blogs it is 70%. I think bloggers, for whatever reason, tend to get more random traffic, David, plus a lot of returning visitors who just check to see if there’s any new content published and leave if they don’t see anything. 40% for a static site is a great goal to aim for. Ana, I just happen to be preparing an article about “Bounce” – do drop by and look for it in a day or few! I can’t tell you to what extent they use it (I am not Google, lol), but it is one of the search engine ranking factors indeed. I have been trying to figure out exactly WHAT to put in the sidebar of my site. I have a pretty clean layout and a magazine styled theme, but I just have to keep testing to see what will work for me. Thanks so much for these recommendations. My bounce rate is pretty low – 40-50%, depending on the post and the author, but I need to go from too engaging to a way to make people want to take some kind of action. As always, great information here! You are welcome, Christi – have a blessed weekend as well. Thanks Anna for this tutorial. The bounce rate on my blog is about 88%. I always look for ways to decrease it, so your post came in handy. About increasing site speed, it is also very important to make sure that the database (for WordPress Websites and others) is hosed on fast servers. Once a year when I notice that my blog is getting slower to load I contact the hosting company and they move my blog’s database to their newest mysql server. The speed after that will be amazing. It never hurts to ask them. It works best with jpeg images. I had no idea you can ask your hosting company to do that, Boutros; I am going to try that. Also, thanks for the image compressor; I’ll give it a shot as well. My bounce rate is hovering around 80% and I’m going to start using some of your tips. I think linking to other content on your page in the body text is one of the best ways to do that! Thanks for you tip! You are very welcome, Steph. Ana, excellent post. Lots of very good information. I just started a blog and the majority of my traffic comes from people who find a picture from Google and then once they’ve viewed the picture, they leave. I don’t even get a chance to “wow” them with my content. How do I fix an issue like that? Again, you have provided many great tips here that I will surely implement. Thanks! That’s why I never focus on ranking my images, Mars. That kind of traffic just isn’t sticky. The only thing you can do is to work on bringing up traffic from other sources, like networking, guest posting, working on SEO – things like that. Yes, that tends to happen just as you described. Great article with a ton of detailed information! I especially think that having a strong call to action to subscribe is important. The default “subscribe” links are often the same as all other blog links and don’t stand out on their own. Yes, a strong call to action is very important. Thanks for stopping by. We need to keep them on our blogs, after all. LOL! I have to agree on #16. I was thinking of YouTubing it out on quite a few pages. After reading your post Ana, I need to re-evaluate my strategy. My hardest part is separating what works for bloggers and those who sell Internet products versus physical services. To me, the idea of blogging in general is the best way to advertise the blog without signing up to one of the many “SEO” companies out there. I realize content is king. I am just trying to figure out how that fits into a service business. Only #16? LOL! Just kidding! You can learn those techniques and do it yourself. Lovely post Ana, and very clear as well. However as for the standard bounce rate there is actually a certain norm that is expected based on your business model. I recently published an infographic on bounce rate debunking some of the top bloggers views like Daniel from daily blog tips who has several posts on his blogs that are slightly misleading. Loved the infographic, Eddie – thanks for the link. Good to see you here. Glad to hear that, Salah. Just got back from your blog – a brand new one! Yes Ana it is brand new, I started it after few months of thinking.I was afraid about writing cause of my English and finally I discovered I can do it. I hope to see you there one day !! English is not my first language either, Salah – it’s only a problem if you let it be one. My bounce rate usually falls between 70-80%. I look at it once in a while, but I’m not too concerned with the rate. Much of my traffic comes from Google, and the keywords that drive the most traffic to my blog is usually targeted to a few tutorial posts. I think that once someone reads the post, they find what they are looking for and then leave. At least that is what I tell myself ;). Exactly my situation. Every time I ask a guru to look at my site to tell me why my bounce rate is so high (75%), I get “you give out too much information.” Oh, well. That’s who I am. As for videos, since my Youtube channel is another traffic generator and a focus in itself, I don’t think it’s a bad idea to allow a link back to Youtube. However, I didn’t know that Youtube streaming would affect my bounce rate. Does the old embed code decrease that effect? I’m heavy into videos, which probably explains the bad bounce rate. Thanks for this great post, Ana. I’ll definitely subscribe! I’d say 75% is pretty normal for blogs, Marta. YouTube: there used to be a way to customize the old code so that you couldn’t click on the video and be taken away to YT, but it doesn’t work any longer. I wouldn’t worry about it too much. If videos are “your thing”, then keep posting them. CDN is great for many reasons, but decreasing your bounce rate wouldn’t be one of the main ones. Yes, it’ll increase your load speed, but truthfully if people want to read your content, they’ll wait, and if they don’t, they’ll leave no matter how fast your load it for them. Is important to find out which pages they are sticky to? And which they are leaving on? If its the contact page that would make sense for them to leave so I am assuming the bounce rate would be high here? Definitely, Grant; however, I can’t think of any one page on a site that should logically have a higher bounce rate (not that they don’t exist). Meaning: even with your contact page, people will only click on it when they want to contact you and when they press “submit”, the page refreshes, so there’s no bounce rate. Just to clarify- if they stay on a page for a long time that lowers the bounce rate? Yes, that’s what Google makes it sound like when I was doing my research. And of course, any time the page refreshes (like sending a message via a contact form or leaving a comment) or the reader clicks on another page. What a complete guide guide Ana. Thank you for that. My bounce rate is around 70% and to be honest I never really gave it much thoughts, as I really didn’t understand it much. Reading your post makes it obvious it is an important issue and one that solving could potentially bring in more revenue and long term readership. Thanks Ana. Hey, Pete – there might be many answers as to why your GA traffic flatlined; in the end, I might only be guessing. Different analytic counters use different parameters to measure traffic and that’s why when you compare them, the numbers never match. It doesn’t really mean that one of them is more accurate than another. One guess (and it’s only a guess): spambot traffic. GA might not be registering it, and your SBI counter might be. Did you check GA code installation? Maybe you updated something, and unbeknownst to you, it deleted the tracking code. Pinging: depends on what you mean. When you ping your own posts or other people try to ping their comments on your posts? I sometimes am left scratching my head, as far as some of the Bounce rates I see in my Analytics data. Many seem too low, others are at the other end of the spectrum. I guess a quick on / off click on a Blog(Website) post, would account for a really poor Bounce rate result(Not going through to other internal pages). Though, I am not sure how my ultra good bounce rate results are calculated(Especially given that the on page time seems quite low). Also, wondering about those results that show a perfect score(O bounce rate). If 100% bounce rate is a big nada(Zilch , nothing) is a 0 % bounce rate El Perfecto? I’ve never heard of a perfect score of 0 before, Daniel. I would check your Analytics code to make sure you are not duplicating it with a plugin, like Google Analyticator. our site gets 50%-75% bounce rate and it seems that these tips makes a lot of sense so we’re going to have to try it out. What makes it really weird is that when a user uses our own company name in Google search, the bounce rate is at 100%. doh. That is definitely a bit strange, to say the least, Glen. for sharing such great information. I was always wondering about the bounce rate and how important it is. Great to learn some insight views by a professional. I too have bounce rate between 65-70%. I will follow your tips to lower the bounce rate. thanks for this Ana. very nice tips as always. Great post Ana! Readability and good loading speed are very important in decreasing your bounce rate. I’ve always thought an average acceptable bounce rate was between 35 and 60% but i guess it’s more concerning business websites or local businesses… Blogs are more versatiles and give more options… So more diverse traffic too! I agree about sidebar crowding, this make the users confuse I guess (even if they don’t realize it). I think every area of a monetized blog should serve the final goal. Derek Halpern from http://www.socialtriggers.com says good stuff about that, but I guess you’re tuned about this! You are right, Eric. I think they get confused too. Hello Ana. This is a SUPER valuable post with a LOT of points to work through. One of those tutorials I think you should have charged for. IMHO. However, I have personally had bounce rates of 89 and higher when I started out and found your bounce rate going up quite interesting, and the way you explained it makes perfect sense. Does that mean on a blog with a lower bounce rate, it’s not retaining it’s readers? Lower bounce rate usually means that the readers are more engaged, Patricia, which is the ultimate goal of any blogger. Since I changed themes my bounce rate has dropped quite a bit, then as my traffic increased from search engines, and also direct traffic my bounce rate did too. Thanks for this Ana, another gem. I was wondering why my all other blogs are working fine but one always shows bounce rate 0.00%. I knew and I could not believe that each and every body landing on my blog roams around but still I was not finding the cause of this mistaken report. Thanks for this. Now I’m going to check how I implemented my analytics code. I’ve made that mistake in the past, Suresh – that’s how I knew about the double code! Great breakdown of explaining bounce rate and the tips of bring it down. I also like the tip of looking at your bounce rate in GA to find out why people are bouncing. What I don’t like is that Google counts the “no clicking to another page” as a bounce. That’s not really fair, and goes against what Google stands for. Google wants to serve up the best pages that will answer a persons search query. If they do their job well (which they do), then a person shouldn’t have to click to another page. To me a bounce should be exactly what is sounds like, a person comes to a page and bounces off quickly because the page is not relevant to them. I understand what you are saying, but that’s what it is and we have to make the best of it. We must get them to click on to the next page. Thank you, Wayne and you are spot on with regards to those focal points. I look forward to seeing your post on the topic, as you know your esteemed opinion matters. I’ve personally never been too concerned with the Bounce Rate, its an okay metric to look at, but its not the end meets all so to speak. Like you said, your blog’s bounce rate has gotten higher, and yet the quality of posts here is extremely high. Admittedly I am one of those users that will check out the home page every day or so, to see if there are any new posts, and that hurts the bounce rate, but I am a good visitor, even though the bounce rate indicator would say otherwise. Nonetheless though you did open up my vision, never thought of looking at bounce rates based on other measures as well. The New/Returning visitor one being extremely useful! Well, I am glad my post could help you to see it from a different perspective. Thanks for stopping by, Jean. I pride myself on having and designing site with low bounce rates (1%-5%) for almost all, and I don’t have analytics in twice. I think the secret is having a clean easy to navigate site. I’m pushing a client who made me do “his version” front page design and it has a 85% bounce. I know why…too cluttered and too many choices and he didn’t want to use a drop down nav at the top…using only the main page sections there…on a 2500 page site! Egads. I’m talking him into letting me do some tweaking. It just comes down to people being able to find what they are looking for easily. Frustration always makes them leave. I don’t know what to say, Melinda – you are definitely the first one to tell me that such low bounce rate is possible on a blog like yours. Is it still that low on your own blog, I assume? I just got back from another reader’s blog, Melinda – he wondered why his bounce rate was so low as well. Turned out he installed Google Analyticator as well, and already had the code in his theme. That’s how I knew about this; I had it originally installed twice on my blog – happens to the best of us! Thanks for clarifying what it is and what I can do about. My bounce rate confuses me. Up until last month, my bounce rate was like yours, around 75% consistently. Over a 4 day period in August, the bounce rate dropped incrementally down to 35%, where it has remained to today. I didn’t do anything different (no coding changes) that I know of. Actually, I checked the source code for your blog, Bob, and it does look like you have installed it twice: once in the footer (probably in your theme itself), and once in Google Analyticator plugin. Stickiness = good! Finding ways to keep users around longer, and keep them reading more content is an excellent goal! There’s no point in writing great content, if the visitor isn’t aware of it, so keeping those previous fabulous posts somewhere in their line of vision is important. A good sitemap works well for that too. Always be thinking about not losing the reader’s attention to trivial outside stimuli. You are right, Donna. A sitemap and recent posts work well to keep them around. Very helpful tips and explanations! Thank you. You are very welcome, Holly. Hey Ana, At my newbie days I did not know what a bounce rate is, I was checking Alexa stats and as the majority of stats when increasing it means its a good thing, I thought it was a good thing too. I think for starters it’s a positive sign to keep the bounce rate under 50%. In time we optimize and tweak our blogs so we do even better. Cool tips again. Twittered as well! Thanks for stopping by and for Tweeting my post. You are right, we learn as we grow and then tweak and improve. This is indeed a great post. The topic of bounce rate is one that is confusing to many of us. Your post went beyond the usual “surface makeup” that you see around. And the tips? Great! Though I’m not doing much of youtube videos but I’ve found your tips on this really useful. A big thank you! Thank you Chadrack. I am glad you enjoyed it. both my bounce rates (new and returning) are within 1% of each other my normal bounce rate is 71%. Having said that I expect it to improve because I used to use a plugin that let a user post their comment without refreshing the page. I deactivate that portion of the plugin last week so perhaps my bounce rate will improve now. I do pretty well all you’ve recommended in the post except using excerpts. I’ll have to think a bit about that one. I would imagine that would make a difference. Let me know, please. I feel Bounce Rate is another tool which doesn’t need much consideration. Yes, as you rightly pointed out the New v/s Returning ratio, needs to be looked into more than the bounce rate. Design also plays a very vital role in reducing bounce rate. Ranking for un-targetted and irrelevant keywords is my big problem. My bounce rate floats around 80% and more than 95% of it is contributed by those keywords – one of the major drawbacks of running a multi-niche site; and one of the major reasons why I decided to move to a new domain with a focus on one niche! Oh no, that’s not too great. I agree that the lack of a specific niche is the problem. All the best with your new targeted niche! Hi Ana, my bounce rate is 57.82% (Google Analytics) right now but, like you said, it’s a newer site and I fully expect it to go up. With some of your tips maybe I can keep it down. I need to work on my 404 page. I just checked it after reading this list and it’s terrible. Quick question: I’m wondering if you can tell me how to prevent certain keywords from bringing up my site in the search results. For example, my bounce rate for “blog tips” is 37.50% which is great. But I have a 100% bounce rate for the keywords “hot blog”, naturally, which is bringing in the most Google traffic. I’m not targeting that particular keyword phrase but it’s the first two words in my domain. Any way to exempt that particular phrase or do I just need to live with it? Unfortunately, Google will rank your website well for the keywords in your domain name because keywords-in-domain name are one of the SERPs ranking factors. This is the reason webmasters fall over themselves to purchase domain names with keywords in them. The only people Google allows to specify negative keywords are Adwords advertisers. That way they can tell Google not to bring up their ads for certain keywords. I took a look at your source code, Brian, and noticed that both your description and title tags start with the words “hot blog”. Getting rid of the word “Hot” might help, although it might take a while to get lower rankings. I do understand why you would want to though. Smart Girl! Let me add this to your post. Videos will help keep your visitors around. Especially if they are enticing. It will also help you average times. I’m really focusing a lot on videos, and already seeing a change. Keep them coming Ana! Thanks for the valuable input – you are spot on! Organic traffic is one main cause to decrease the bounce rate.The reader through organic search usually access the site through keywords always have intention to get knowledge.Because of bounce rate a writer can also judge the popularity of his contents. That’s correct Azhar. That’s one of the reasons why I try to promote direct traffic all the time. Some people focus too much on search engine optimization without even realizing that bounce rate plays an important role nowsaday. I think that bounce rate is a crucial factor to decide whether your website is crappy or not. If you don’t have anything that your visitors are expecting, they’ll leave right away. Ana, You make a great point about a trend I noticed on one of my own sites. As my traffic increased, I noticed my bounce rate went up. I realized that I had gotten a big surge in stumble upon traffic that did not stick around as long as organic search traffic. As David mentioned above, I think that the Google will eventually start giving higher search results to sites with lower bounce rates so a lower rate is good for more traffic. However, that begs the question, if bounce rates are typically higher for non-search traffic (like social media) how does Google find out about it if they didn’t refer the visitor? As you point out they track it through Google Analytics. Now I love GA, but I wonder if at some point, it may make sense to get rid of it so that Google doesn’t see your high bounce rate traffic. This is all theoretical, but curious what you thought about it. To me, GA is too valuable of a tool to turn it off. Of course, there are plenty others, both free and paid, that you don’t have to use GA at all. I don’t know if Google has ways to track your site statistics even if you don’t use GA. I have a feeling that they can still tell your bounce rate for the search traffic, and that’s all they care about in the end. These are sticky tips Ana. I had to check my Google Analytics bounce rate to determine my status and I’m at 65%. I think that falls within the range of your own and your friend, but I’m going to decrease it using your tips. Do have a great day. Some great tips Ana. It is good to hear the word “sticky” once again being used It was all the rage some 6-8 years ago). A couple years ago I began using it again, in preparation for what this post is all about. I write an ebook called Sticky SEO (It’s a freebie at http://www.seo-writer.com/books/sticky-seo.html ) because it was clear that the search engines would soon be moving in this direction. By the way, there is more to SEO and user behavior than just “bounce rate”. The engines can measure several metrics, including time spent on page, whether the user conducts a similar search right away, etc. I agree it’s good, David. Thanks for pointing us to your book. I know there’s a lot more to it and I’m only getting started on the topic, so stay tuned! The bounce rates for my new vs returning visitors are 47% and 54% respectively while my overall is 51% and I guess this is because most of my pages that rank well in the search engines have videos embeded in them. And I find that even if a visitor was only on one page on my site, if they spend a considerable amount of time on that page, the bounce rate for that visit drops to 0%. I am still looking into what this “time” lapse is because with videos on these pages, by the time the person finishes watching the video, that time would have elapsed. So I wonder if Google logs these as visits when they are in fact only impressions in SERPs. Sounds like your bounce rate is respectable, Flo. I only look at bounce rate in terms of reader conversion; improving one always improves the other. And yes, if one clicks to your site from SERPs, they are a visitor and the time is ticking. Your click-throughs are much appreciated, Mark. 20%? That seems to be very low, Mark. SE traffic tends to bounce quite a bit – I would check your GA code installation. I had a bounce rate of about 15% a couple of months ago; made me wonder why it was so low, turned out the code was installed at both the top and the bottom of pages. My current traffic breakdown is 45% referral sites, 30% SEO, 25% direct. The general recommendation for SEO traffic is about 40% – this somewhat guarantees that your site won’t go belly up with the next google update. This was a timely post. I have been trying to make heads or tails of what my bounce rate should look like. I have been disappointed that it has been consistently 49-50%. Based on what you said you have given me a little comfort that those numbers maybe normal and some other metrics that I need to check. Some of the things you listed to check for and do I have covered already, but you do mention some nuggets that I need to go check out- like my 404 pages. Thanks for an awesome and informative post. Sounds like you are at a good place, Chris, but of course, it can always be better. Thank you so much for this information. I’ve been staring at my bounce rate every month, not really knowing if it was good, bad or ugly and not knowing what to do about it in any case. I have a bounce rate of almost exactly 64% every month. In July it went down to 37%, but I have no idea why. I must have done something right… In August I finally got on the Twitter bandwagon (thanks to your kiss in the a** and all the great info you provide here, and you were right, it’s not so bad), and I have seen an increase in traffic, but the bounce rate has stayed the same (yay?). Thanks to this post I’ll finally know how to evaluate my numbers a little bit better. You rock, chica. Well, that’s good then and shows that your traffic is at least consistent and their engagement is consistent too. Glad you decided to get onto Twitter! excellent post Ana – even experienced bloggers miss out on some of this not because they don’t know, but because it’s not at the forefront of their minds as they publish posts. i am guilty of that!!!! thanks for the reminder! Cowed, I immediately removed all my target=blank parameters. Obviously, I’m just one person but, since I made the change, exactly one person has made a comment about my choice. I had linked to a friend’s blog and she was concerned that I would lose readers. Now, Ana, my dilemma is this: I’m not so popular as to have a 81% bounce rate. In fact, if I can believe the Analyticator plugin, it is currently 66%. That just doesn’t seem to justify reviewing 174 posts and 46 pages for links. Hey, Mitch – I hear your pain. However, you can’t always make everyone happy. I always force ALL external links to open in the new window/tab, and that’s the way it is on my blog. I’ve never had any complaints and if I ever do, I’d ignore them. No, I wouldn’t go back through all my posts to check on the links. But I would definitely check your sidebar/social media/affiliate links. And I would start following this practice from now on. I personally have never used Google Analyticator plugin; I always use GA directly. After all, they are the benchmark everyone else keeps in mind when building their own tracking services. I hear what you’re saying and I will certainly reconsider my position. As for GA, I got the plugin working on one blog, but not another. And the direct interface is sooo confusing, what with accounts and profiles and that infernal UA number. It has always been in the back of my mind people talking about bounce rate, sometimes I take notes and other times I just ignore. I just had a quick check and I am at 58.84% So not great but I suppose there is a lot of room for improvement. Looking over your very very detailed post I can improve more in so many ways but then so I really need too??? That would be something only you can decide, Craig. A lot of the things that affect your bounce rate are the same things that affect your conversion. Do you want to have more subscribers/customers? Then yes, you need to work on this. Blimey O’Reilly!! One of the best posts I’ve read recently! I’m already actioning on a number of items you mentioned, but you’ve given plenty of useful advice for me to use. My bounce rate has been a concern, but this post will help me evaluate more in-depth and move forward wiser. Excellent post all around and very timely as I’ve been staring at my somewhat humbling bounce rate (just shy of 80% – *sigh*) and thinking that I should look into making it lower. Interestingly there isn’t much of a difference between new and returning visitors although until you suggested it I never considered the different behaviors of those two groups. – Any favorite sites/services to determine if site loading speed is an issue? – In google analytics under traffic sources there is Google/organic and google.com/referral. Anybody know what the difference is? No biggie – just curious. Yes, that will happen, Lou and your bounce rate is not bad. Thanks for attributing some of it to my tips! Good point, Laurie, and many bloggers will thank you for it. I think social widgets are the things helping us (bloggers) in bouncing rate. I have seen the difference in my blogs bouncing rate since i have installed FB social widgets. Also i feel if you make your article readable with suitable pictures and useful videos or your teaching videos like tutorial. It helps your reader get engaged there. I have observed in my last article when i attached one tutorial video along with the content. I am having hard time imagining that any social media widgets would help you decrease your bounce rate, Irfan. All they do is lead your readers off your blog. As far as videos are concerned, I agree; they can definitely add a lot of value to a post and might just be the thing to keep your readers on the page. I think you should read a report of digital inspiration in his blog labnol. After reading him i have made those changes and it really helped me decrease my blog bounce rate. I used to stare at my bounce rate in disappointment. It’s hovering around 71% monthly. It can definitely be better. But I realized that conversion rates are much more important than bounce rate. And that’s what I really have a problem with and need to focus on. But I’d still like to get that darn bounce rate lower :). I am with you, Eugene – it’s a bit of a slap in the face when someone leaves your site without ever giving it a chance. Conversion rate is certainly much more important; however, they do tend to go hand-in-hand. Very informative and helpful post, Ana. Very glad to have found you! I appreciate how you clearly laid out what bounce rate is before providing your excellent tips. Looking forward to learning more from you! You are very welcome, Glenn. As always a much overlooked topic. While A certain amount of BR is to be expected there is as much to be gained by becoming better at engaging people that do show up as well as gaining brand new faces. Wonderful tips on the ways to go about getting improving bounce rate. Bravo! If we can convert more customers without increasing our traffic generation efforts, I am all for that. As always Ana I had another tab open and checked by stats and updated my blog as I read your points here. My stats tell me that my bounce rate for this past month is 75.36% with new visitors bouncing more than returning ones. Frequent folks have a lower bounce rate which isn’t surprising as I have started using StumbleUpon more. The updates continue! Thanks again for the awesome tips. You are so welcome, Robert, and always a pleasure to see you around here. I’ve been meaning to start doing more research on StumbleUpon traffic; how’s it working out for you? So far it isn’t very sticky. I’ve also found that topics outside of business and marketing get more traffic over the course of the day. That’s what I keep hearing from other bloggers. Sometimes poorly targeted traffic is the same is no traffic; the latter just requires less work. Great post once again, Never thought that you can judge your correct bounce by other ways as well. I was only consider the default Google Analytics bounce rate. Excellent post! Bounce Rate is one of those vague. intangible concepts that doesn’t get a lot of attention, and this information is very useful. Currently, my bounce rate hovers around 70%, which used to devastate me. But after reading this post, I realize that it’s not so bad after all. Sounds pretty normal to me, Joe. Not that it can’t be better, LOL.